Caffeine, an intriguing substance found in several different drinks, best known through coffee, used to be frowned upon because people didn’t know much about its nature. However, today, when we know a lot about it, its benefits and side effects, caffeine became a serious ally in weight loss and exercising process (1). It is used by some sportsmen as it significantly increases physical performance. This is why controversy about caffeine does not cease. Let’s learn more about this majestic substance! Caffeine is an active substance scientifically called methylxanthine (2) found in coffee, tea, and guarani. Caffeine has long been regarded as a supplement that helps in physical performance. It works by activating the central and sympathetic nervous system (2). These findings led to analyzing the possible positive effects of caffeine on the weight loss process. Coffee, a drink that made caffeine popular, contains a lot of minerals and vitamins (1), but it is caffeine that represents its basis. Coffee affects the mood of millions of people every morning. Some of us cannot imagine living without it. Except for enjoying the taste of coffee, most people consume it in order to wake up. Coffee, or caffeine from it, has a beneficial effect on the cleansing of the mind and easier activation of our body for a new day (1). This can later help in determining priorities or choosing a healthier diet. Caffeine reduces stress and helps us to exercise (2). If you want it to affect your nervous system favorably, do not add milk, whipped cream, or sugar, and certainly do not take it in large quantities, because large amounts can endanger your health. We will discuss these issues in detail a bit later. Let’s go back to coffee, the key drink that contains caffeine. Why is coffee so popular and good for weight loss? Only some of the vitamins and minerals that make up the coffee are rich in zinc, magnesium, manganese, B-vitamins, and chromium (1). Don’t forget that these substances act very favorably to accelerating metabolism, maintaining steady blood sugar levels, reducing fatigue and appetite, slowing down the aging of the body and reducing stress. All this helps with fat burning, which leads to a reduction of your weight! Caffeine, the most famous ingredient in coffee, is very good for exercising because it gives motivation. It will make you feel stronger. Furthermore, it affects us in a very surprising way: it makes exercising easier and less painful (3). As we practice longer and more persistently, it definitely helps burn more fat and calories. Short-term improvement of mental functions (4). Studies have shown that caffeine, when administered in doses allowed by the IOC, improves the performance of an average runner at 1500m for an average of 4.2 seconds, as well as improving the overall endurance of average runners (7). Improved endurance comes primarily due to a significant increase in the level of fatty acids in the blood plasma. Increased levels of fatty acids in the blood increase the ability to use free fatty acids as a fuel and therefore keep valuable carbohydrate supplies. It should be noted that the effects are higher for people who are not accustomed to taking caffeine-containing products. Raising the level of potassium in the blood (4). Since caffeine accelerates fat burning in the body, there has been much research into its role in weight loss processes. Studies have shown that taking caffeine before training improves fat burning during exercise and by 30%, as well as increasing the number of calories burned (3). Stress is unavoidable in the time in which we live, but it affects the creation of an unnatural amount of cortisol hormones in our body. Caffeine not only stimulates the weight loss, but the combination of phytochemicals and nutrients in coffee reduces stress and can regulate the level of cortisol. Regulated and controlled cortisol levels enable proper and healthy weight loss as well. After about 15 minutes in the blood, caffeine starts working! Since it stimulates the central nervous system, caffeine enhances the heart function, which means that it enables it to work better and directly affects the way that the periphery is supplied with oxygen (2). 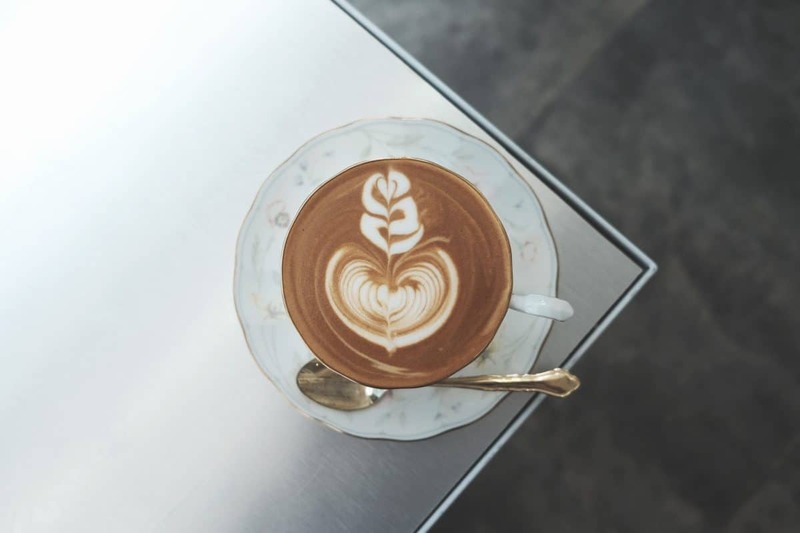 According to numerous studies, caffeine helps in the metabolism of fat by mobilizing fatty acids, while reducing glycogen consumption in prolonged training or marathon, which is certainly one of its strongest positive effects. When used in optimal time periods related to your exercising routine, caffeine can prolong the time needed to reach the fatigue limit. In many weight loss formulas, caffeine is a regular component, as it is believed that increasing the fatty acid metabolism helps the process of fat dissolution. However, caffeine has proven to expedite basal metabolism, that is, calorie consumption, accelerate breathing, urinary and gastric acid production. Using caffeine from foods (coffee, guarana, tea) or pure pharmaceutical form in tablets or capsules, is the matter of your personal choice. Each form of caffeine is effective for weight loss. However, it seems that espresso coffee and guarana are the most suitable forms for quick energy boosters. We should also point out that, unlike pure caffeine tablets, coffee contains hundreds of various compounds (theophylline, paraxanthine, theobromine), which in combination with caffeine may have some side effects for people with certain medical conditions (2). We will get back to this issue later. Nevertheless, a group of researchers made experiments on volunteers and proved that caffeine in the form of pharmaceutical capsules increases durability and moves the limit of fatigue. Moderate doses of caffeine are about 250 mg/day, which means 3-5 cups of strong coffee. There are no indications that such doses are harmful (except in cases of severe caffeine hypersensitivity). In a new study published in the Journal of Sports Medicine and Physical Fitness, Brazilian scientists have asked 14 men to practice with and without caffeine. They received slightly more than 5 milligrams of caffeine per kilogram of body weight. An hour later, the examined individuals were supposed to perform three sets of bench press and leg presses and had to perform as many repetitions as possible. In the experiment days when coffee was consumed before training, the men were more willing to train. The results showed that under the influence of caffeine they performed 11.6 percent more reps on the bench press and 19.1 percent more reps on the leg press compared to the days when they were training without the caffeine. The conclusion is: whether you are doing cardio training or strength training, caffeine can help. Therefore, if tasty coffee can motivate you and help you exercise, wash your cup, make yourself a good coffee and start exercising! If you don’t like the taste of coffee in general, look for some high-quality caffeine-based supplements that can help you speed up the weight loss process and increase your energy levels while exercising. Who Should Take Caffeine as a Weight Loss Supplement? Due to the positive effect on fat metabolism, athletes often use it to increase their durability. Furthermore, anyone who wants to accelerate the metabolism should consider consuming caffeine (3). In addition, if you want to burn the accumulated fat from your body, caffeine is a perfect ally too. Caffeine can be useful in short and intense efforts such as weighing exercises, but research has not firmly proved that it is useful for increasing power. It is important to note that taking caffeine is best applied only during the competition, as long-term use of this supplement reduces its beneficial effects. Insomnia is the first sign that you are exaggerating with caffeine. Increased doses or long-term caffeine use can cause nausea, headache, nervousness, rapid pulse, trembling, and even vomiting. However, any generalization of the reaction to caffeine consumption is a big mistake. The degree of sensitivity differs from person to person, which should definitely be taken care of. Due to the stimulative effects of caffeine, the International Olympic Committee has set the upper limit for the legal use of caffeine in sports competitions. Currently, this limit is at a concentration of 12μgm of caffeine in the urine, which means that a person of 70kg must drink six cups of coffee to reach the level. Consuming two to three cups of coffee half an hour before the competition will not cause positive results on the doping test. You should avoid caffeine if you are experiencing issues with high blood pressure. Furthermore, some people are more sensitive to caffeine than others. If you fall into this group, even one cup a day can cause anxiety, sleepiness, or nervousness. The way you tolerate caffeine depends on how much you are used to it. People who regularly drink coffee have higher resistance to caffeine than those who drink coffee very rarely. Other factors that are important to consider when choosing whether to avoid caffeine or not are body weight, smoking habits, drugs, stress and health problems (5). Consulting a medical care specialist before significantly increasing your daily dose of caffeine is highly recommended. Is caffeine effective for weight loss? In conclusion, we can say that research has shown that caffeine is effective in increasing endurance and short-term efforts, to improve mental capabilities such as focusing and reaction rates, and to increase fat burning (6). If you want caffeine to help you with your weight loss, you should take 150 to 200 mg every 4 to 5 hours. For best results, combine it with regular exercise (at least 3 times a week). Do not take larger amounts of caffeine over a period of 2 to 3 weeks. Long-term caffeine consumption should be avoided as it increases the level of stress hormone that will give you a feeling of fatigue and anxiety. If you take excessive amounts of caffeine during hard training, you can easily get into a state of overtraining and general body exhaustion. previousCan You Use Hemp Seeds in Your Weight Loss Process? nextCan I Still Lose Weight With Phentermine If I Have Diabetes?